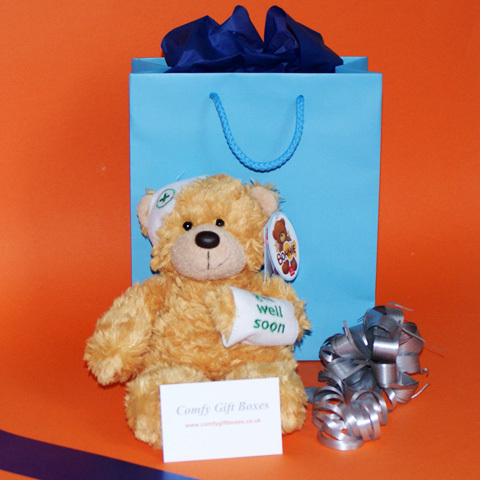 Get well soon gifts especially for kids delivered to the patient at home or hospital. 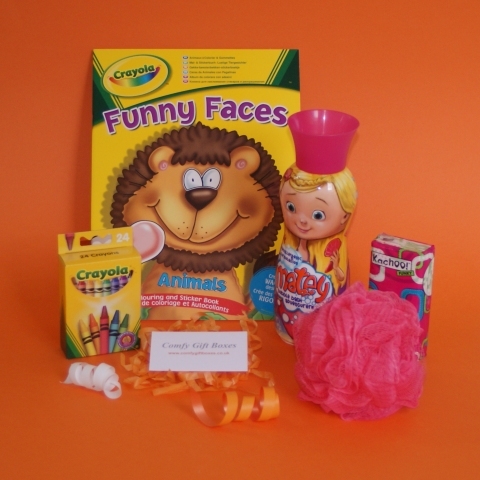 Our range of get well soon gifts for boys and girls are designed to make a child feel better with a little bit of pampering, to cheer them up while in hospital or distract them by giving them something to do or a game to play. Adults, teenagers, school friends and particularly work mates like these children's get well soon gifts but please have a look at our other get well gift ideas for adults as well. Our selection of get well gifts for children (we also have pamper gift ideas and get well soon presents for older children and grown ups) include presents with sweets, games and activity colouring books to keep them occupied while poorly with a little bit of pampering to help speed up recovery. Help the patient pass the time while recovering with this get well gift. Presented in a black gift box with lid, orange ribbon and a matching orange bow. If you're looking for a present for somone who has had an accident, how about sending our get well accident gift? 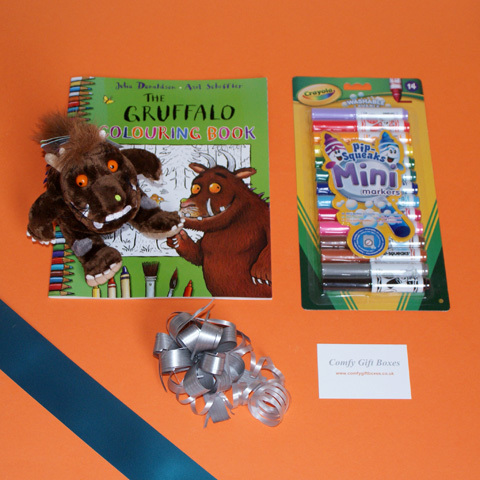 Send a Gruffalo cuddle with this get well gift for children in hospital. 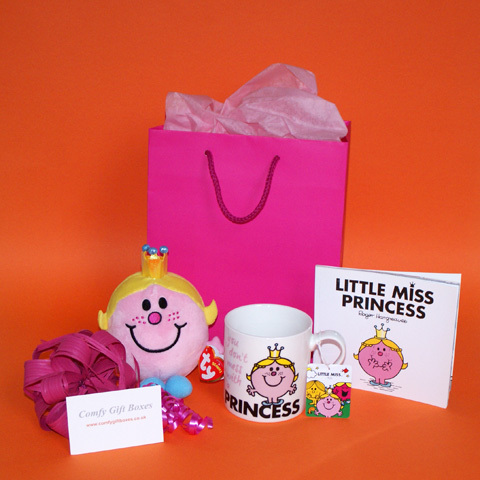 A lovely pink get well treat that's sure to make any little princess feel better and smile. 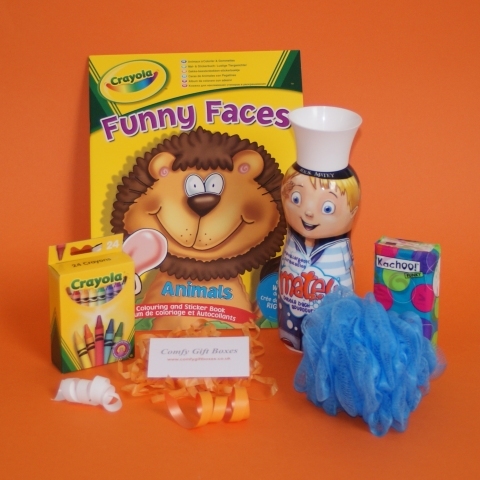 Cheer up a little boy who is poorly, stuck in hospital or recovering in bed at home with this fun get well present. 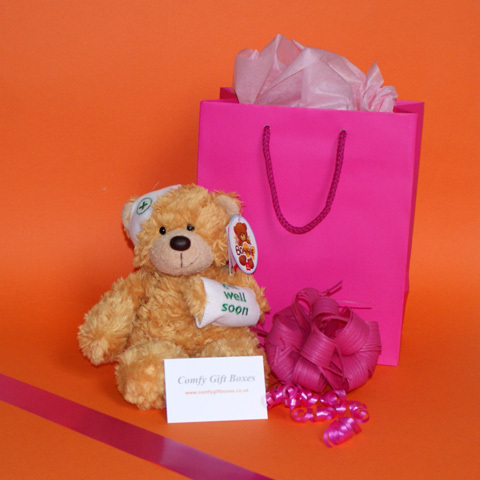 Fun activity get well gift ideas to send to little girls to wish them a speedy recovery. Wrapped in cellophane and tied with bright blue ribbon. 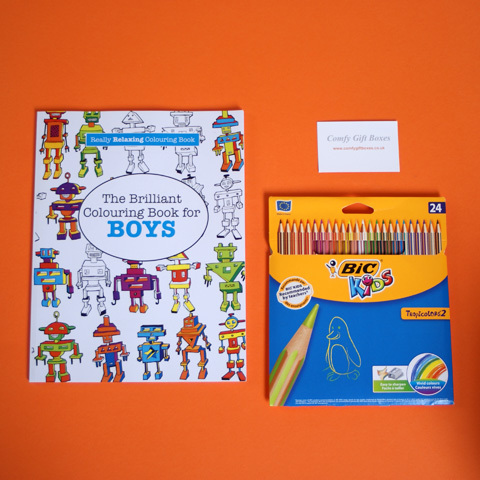 Colouring gifts for boys, a useful activity gift to keep young children entertained. 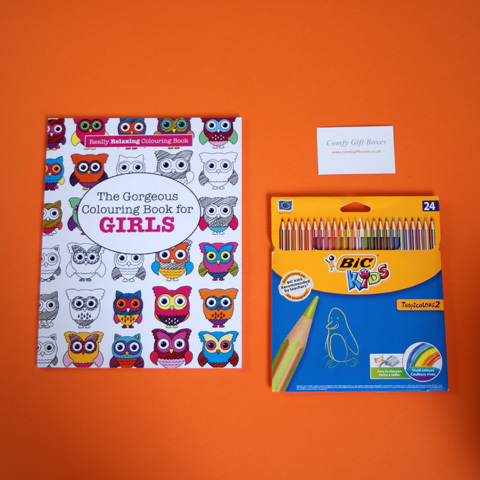 A fun, creative colouring book and colouring pencil gift set for little girls. 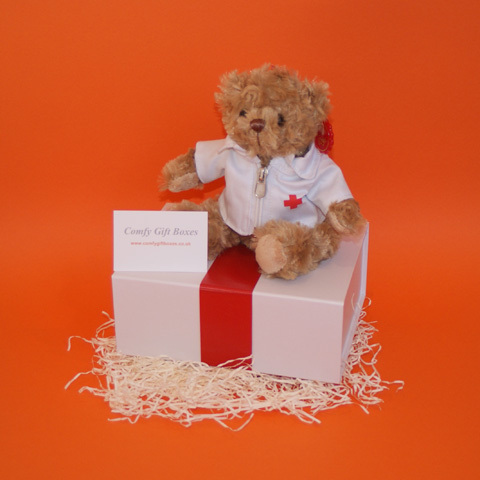 Send a soft and cuddly bear to look after somone who is recovering from an illness, surgery or an accident. Presented in a blue gift bag with matching rope handles and blue tissue paper. Send a get well hug so they can snuggle up to this irresistibly cuddly soft toy teddy bear. 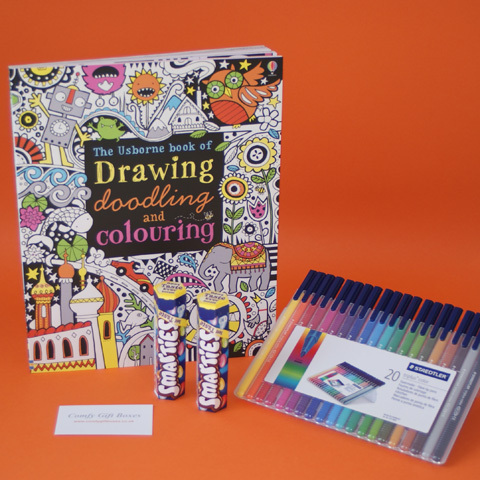 A fun gift idea to pass the time when recovering from an illness or when in hospital. Presented in a pure white gift box with magnetic lid, tied with bright red ribbon. 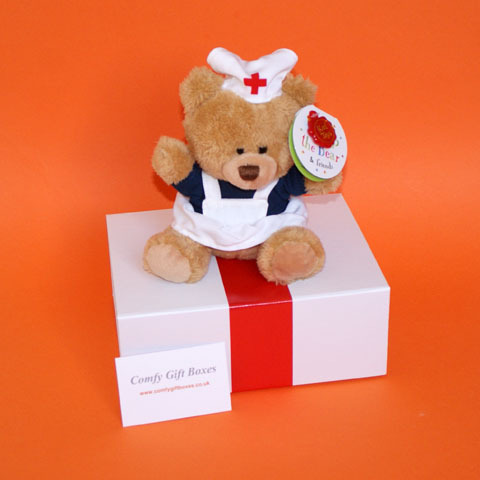 A cute, fluffy little nurse teddy bear to look after a poorly patient and help cheer them up. Send this cuddly doctor bear to put a smile on someone's face and wish them a speedy recovery. 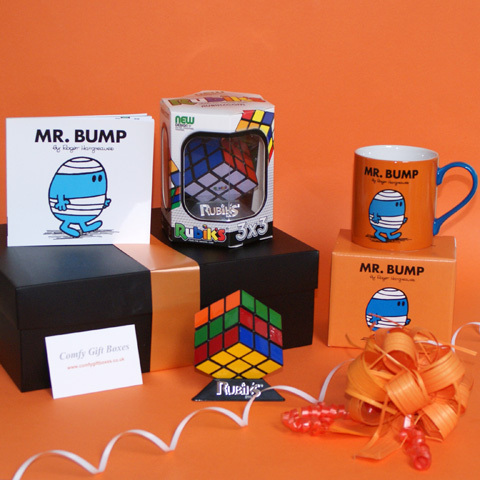 See all Comfy Gift Boxes or have a look at our ideas for get well gifts for grown ups too.